At a young age, Brecht began documenting Southern California surf culture, both in the water and out. Brecht’s move to New York, and his attendance at Parsons/The New School, encouraged artistic exploration - the scope of his work broadened and evolved into a distinctly cinematic and painterly form. Brecht's youthful So Cal energy is evident in his ability to relay the essence of an idea in a vivid and fluid style. His work also displays a level of intimacy and sensitivity - the capture of a fleeting emotion, a private moment. Horizontal Frames: Small: 18" x 14" • Medium: 27" x 20" • Large: 41" x 30" /// Vertical Frames: Small: 15" x 17" • Medium: 23" x 27" • Large: 31" x 37"
Select a size and pick your favorite frame for your new print. 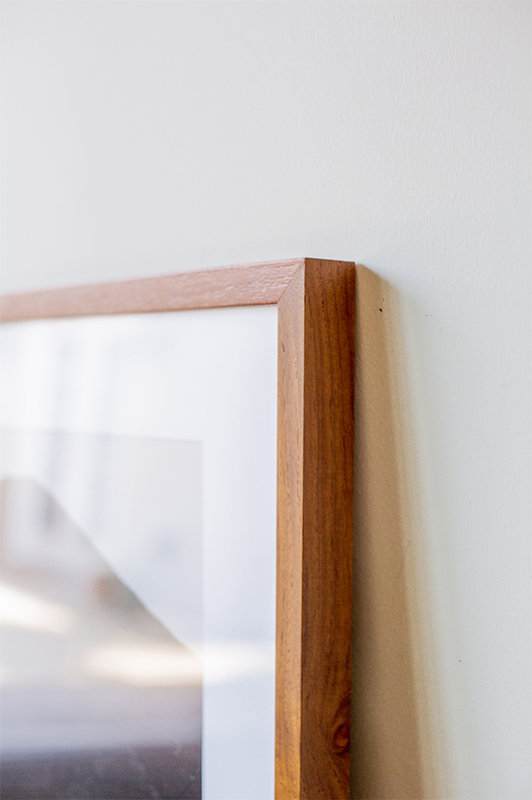 We've partnered up with Framebridge to bring you professionally framed images that ship right to your doorstep.. for free. All that's left to do is hang! All our prints are made to order. This allows for each image to go through a rigorous process involving many stages of quality control before it's shipped out to you. All of our frames ship for free within the USA. All sales are final as each print is made to order. Please allow up to two weeks for production, inspection and delivery. Let’s keep in touch! Subscribe for new print releases and gallery news. Thanks for signing up! Check out @houseofspoils for more.